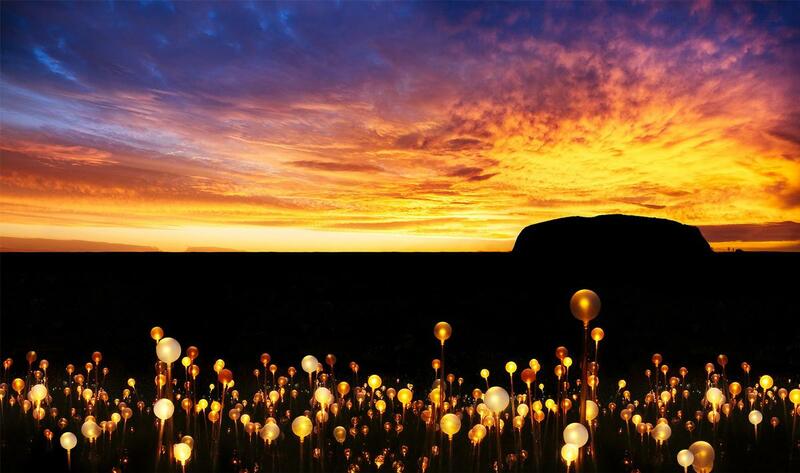 Artist Bruce Munro turned Uluru with the sea of ​​the installation of light Archi-new - Free Dwg file Blocks Cad autocad architecture. Archi-new 3D Dwg - Free Dwg file Blocks Cad autocad architecture. 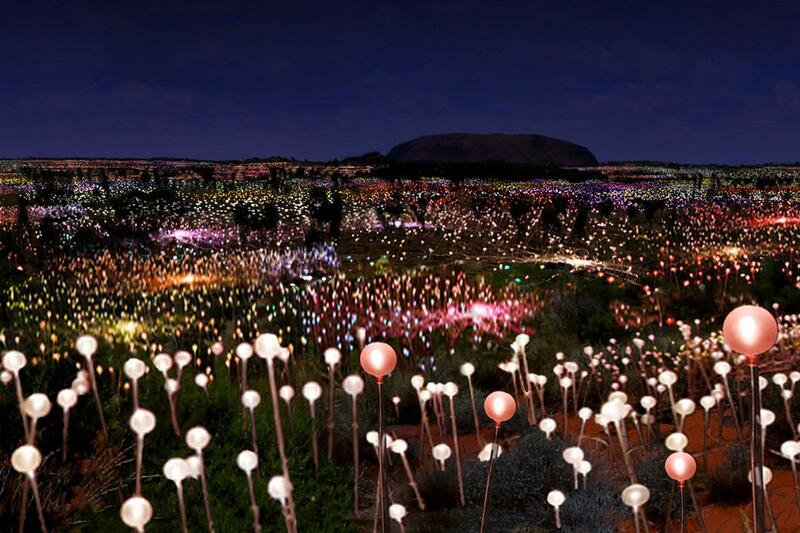 Artist Bruce Munro has created a gigantic art installation at the foot of Uluru in Australia, using 50,000 solar-powered flowers to create a sea of colour at the cultural landmark. The vast field of light, which opens on 1 April, is the latest of Munro’s public light works; he has also done similar installations at London’s V&A Museum and at locations across the UK, US and Mexico. 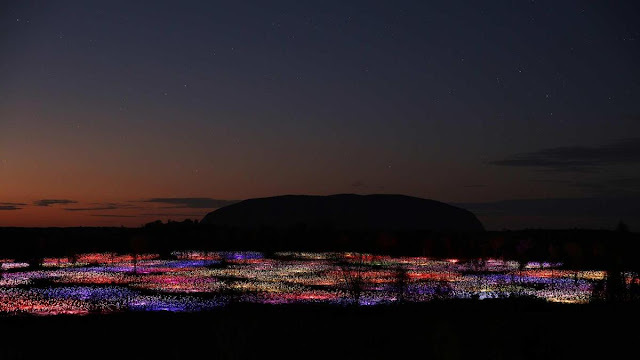 During the nights, set pathways will draw visitors into the installation, which will begin to come to life as the sun sets over Uluru. Titled Tili Wiru Tjuta Nyakutjaku, which translates to “looking at lots of beautiful lights,” the installation uses roughly fifteen tonnes of lights made up of flower-like stems topped with frosted glass spheres, using optical fibres to generate the light. Voyages, Qantas and Investec Finance helped financed the installation, with Qantas flying out a total of 60,000 light stems, 144 light projectors and the miles of cabling required. Munro’s light art, originally conceived for Uluru in 1992, will be in place for a full year, closing on 31 March 2017.